Mr. Foreman tells Miss Berry they will be sending two missionaries through a trip of the South and would like it very much if someone could give them a tour on April 15th of the Berry Schools. 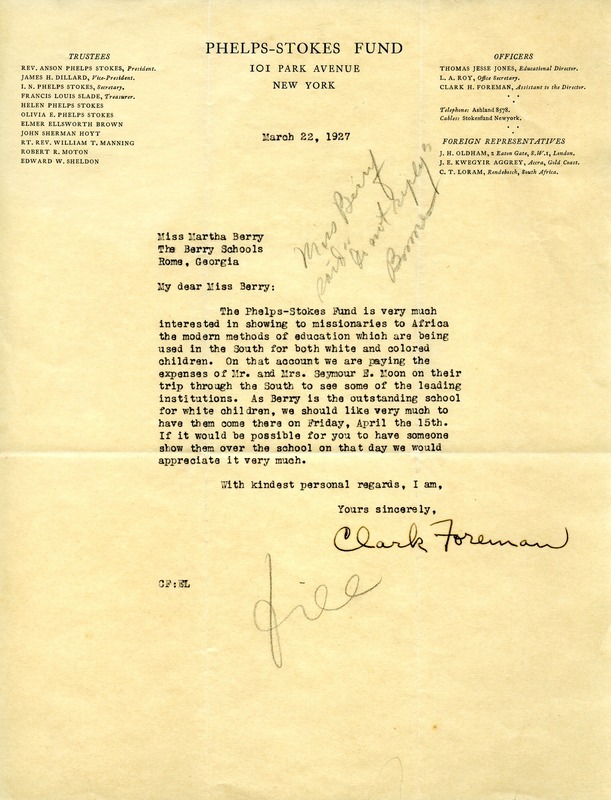 Mr. Clark Foreman, “Letter to Martha Berry from Clark Foreman.” Martha Berry Digital Archive. Eds. Schlitz, Stephanie A., Rachel Renaud, et al. Mount Berry: Berry College, 2012. accessed April 24, 2019, https://mbda.berry.edu/items/show/5469.